symbols of the biblical apocalyptic literature intelligible to modern readers. He begins with definitions of apocalypticism and apocalyptic literature and introduces the various scholarly approaches to and issues for our understanding of the text. 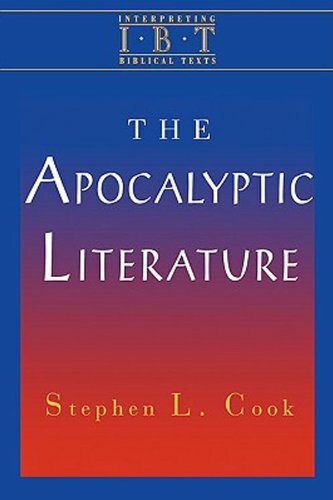 Cook introduces the reader to the social and historical worlds of the apocalyptic groups that gave rise to such literature and leads the reader into a better appreciation and understanding of the theological import of biblical apocalyptic literature.In the second major section of the book, Cook guides the reader through specific examples of the Bible's apocalyptic literature. He addresses both the best-known examples (the biblical books of Daniel and Revelation) and other important but lesser known examples (Zechariah and some words of Jesus and Paul). (2001) Stephen L. Cook is Associate Professor of Old Testament, Virginia Theological Seminary. His Prophecy and Apocalypticism: The Postexilic Social Setting (Fortress Press, 1995) was named Outstanding Book of the Year by the professional journal Choice.